Along with several other photographers in a loose network of friends and aquaintances, I was asked to assemble my personal list of the "Ten Best Photos of 2011." Here is my Ten, along with the descriptions of why I selected them. Happy New Year! One of the weddings I had the pleasure to photograph during 2011. 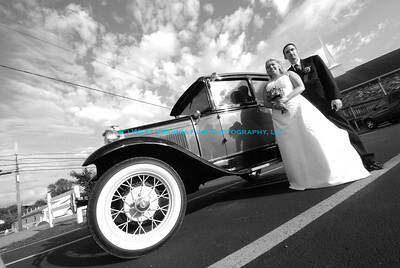 The antique car was Grandpa's, and was a fantastic addtion to the day for the Bride & Groom! This is a personal, as opposed to a business photo. However, how could a photo of my great-grand-daughter, McKenna, not be included in my Ten Best? 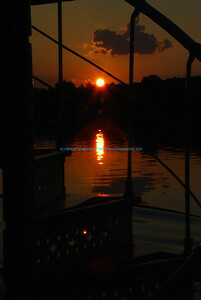 As part of an assignment for our local hospital's "River Cruise" fundraiser, I was able to capture this stunning sunset. This is my friend, Deborah Ankrom Kepes. 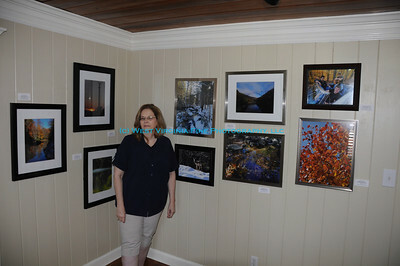 She is the owner of the Cobble Creek Studios & James H. Ankrom Gallery, located near Atlanta, Geogia. She was kind enough to invite me to hold my first exhibit outside of West Virginia. Thanks, Deb! 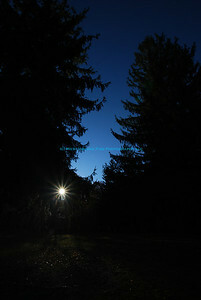 This is a personal favorite from this year, and was taken early one morning, during late Fall in Babcock State Park. 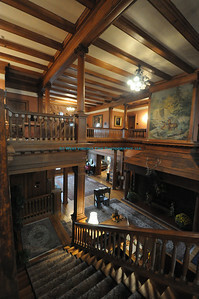 This was taken at the Graceland Inn Mansion, located on the campus of Davis & Elkins College in Elkins, WV. As part of an exercise with the Professional Photographers of West Virginia, this was my entry into our "Sixty Minute Shootout," and was selected as the winner by the PPWV members. This was my entry for the Charleston Camera Club's "In The Garden" competition. 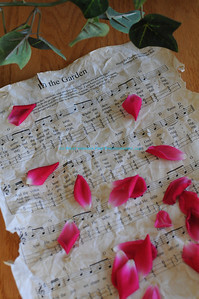 While it doesn't include any flowers, rocks or vegetables, this was the image I wanted to create. While it didn't win, I still liked it. As part of the Sissonville Fire & Rescue School, I had the opportunity to record the "controlled burn" that was done for their arson investigation class. This was taken during the active fire as the firefighters entered the building. 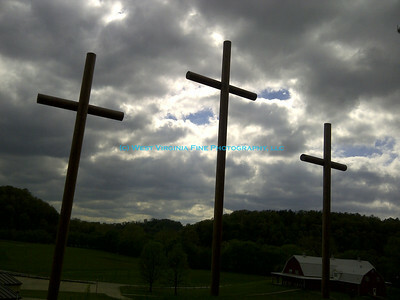 This was taken at the Parchment Valley Conference Center, and was done with my Blackberry camera-phone. The print went on to win first place in the color category in the Jackson County "Tripods" Photo Club "Silhouettes" competition. I was pleased to photograph the 2nd Annual Veterans Day Parade in Ripley, West Virginia, along with the other Veterans' recognitions in the town and county. 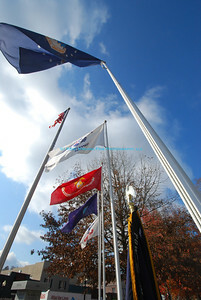 This was taken at the Courthouse Memorial.